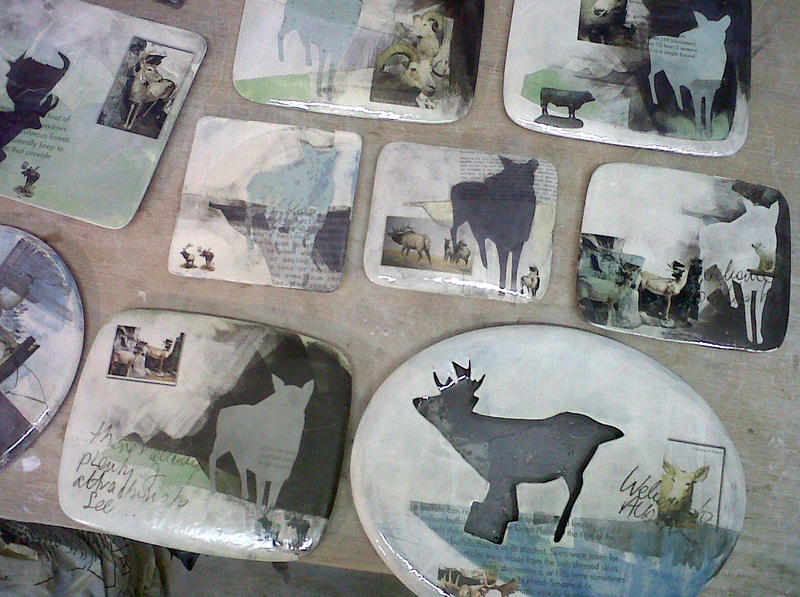 I have just finished the last few plates of my current series referencing taxidermy collections in Canada. Should be getting some more photos done soon, in the meantime here’s a preview just out of the kiln! That’s the last of making work for now, so I can concentrate on my written article and on getting ready for moving. The lease for the new studio is signed, so while the remaining work is done on the space I can start work on a new website. The studio will be within a larger studio complex at Beaverhall Rd, just off Broughton Road, Edinburgh. Once the name etc. is finalised I’ll post up more details. Looking forward to getting settled in, and having my own kiln (currently stored) back in action! Unusually for a ceramic workshop, the space has central heating (!) and plenty of natural light. How this works is: go to the link for my page on their site, register with Enterprise Nation (only takes a minute and they won’t send you lots of spam), and then go back to my page and click on the ‘vote’ button. If you get the page with no image on – just text, double click my name and that will get you to the voting page. If I get enough votes, I get the funding! More studio updates to follow. Your plates are amazing, glad to find you via LinkedIn and the Craft Blog page. Remind us to vote in May!